From A as in acetone to Z as in zeolite, our product range includes thousands of different products made from natural or petrochemical raw materials. We supply products for practically all industries. Our product range is divided into basic chemicals and specialty chemicals. See below for details. All of our products come from reputable producers and suppliers whom we represent on the markets we supply. All of our products come from reputable producers and suppliers whom we represent on the markets we supply. Thanks to our numerous representatives and facilities in various countries, we’re able to provide comprehensive client service. Regardless of location, our sales teams have many years of experience and specialist knowledge, which allows us to respond to client needs quickly and flexibly. In the bulk basic chemicals segment, we distinguish organic chemicals (such as solvents and softeners) from inorganic chemicals, including a classic assortment of acids and bases, as well as many solid substances. The third group in this segment are recycled chemicals. Inorganic chemicals play an important role in various chemical processes. 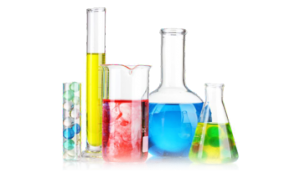 Our range includes acids, bases, and solid substances. These chemicals are part of the key range of products offered by OQEMA GmbH . Their areas of application are extremely diverse - from surface treatments for the metal industry to detergents and cleaning agents, paints, and varnishes, to ingredients for the production of adhesives. We distribute all standard products, also offering products with special properties and special mixtures. We work with renowned producers including BASF, DOW, Evonik, FMC, and others. We are the exclusive distributor of United Initiators peroxodisulphate products - APS, KPS, NPS, and Caroat®, in Germany. Our range of organic chemical compounds includes solvents and softeners used in practically all industries. Thanks to our many years of cooperation with the world’s leading producers, we’re able to provide our customers with reliable supplies of the reagents and chemicals they need. We are the official distributor of the entire range of BASF plasticisers, including adypates, phthalate plasticisers, polymeric plasticisers, and the 100% non-phthalic plasticiser Hexamoll DINCH. Among their most important applications are the production of foils, wires and cables, coatings, and floor coverings, as well as pipes and profiles. 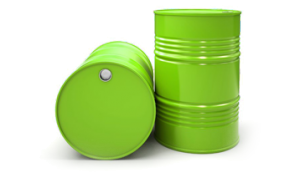 Solvents are among our most important products, which we supply to clients from many different industries. We distribute practically all solvents currently available on the market. Particularly important product groups in this area include acetates, alcohols, aromatic solvents, glycols and glycol ethers, ketones, and hydrocarbon solvents. Solvents are particularly used in the paint and varnish, adhesives, and plastics industries, as well as the photography and printing industries. Specialist chemicals include semi-finished products, additives, and special pigments for the food, cosmetics, and oleochemical industries. In addition, our product range includes products for photovoltaics. One of the OQEMA Group’s specialties is supplying the microelectronic and photovoltaic industries with highly pure chemicals. 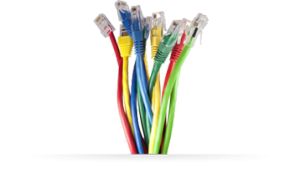 We supply several leading European companies in this sector. As an authorised partner of the most important international producers of specialty chemicals, we’ve adapted to the highest requirements of clients in this area. In this market segment, we focus on the distribution of Sternchemie, Nedmag, Italgelatine, Jungbunzlauer, and Evonik products. We offer specialised sunflower and rapeseed lecithins, coconut milk for vegans, beef, fish, and pork gelatines, calcium chloride and magnesium chloride with GMP+, sodium and potassium lactate, potassium diaphragms, lactic acid with GMP+, and Sipernat silica for the feed industry. In addition, we offer important raw materials for the food industry – for the production of ready meals, sausages, pâtés and canned food, confectionery, bakery and dairy products, yellow cheese, and alcoholic beverages. Our offer includes emulsifiers, soya lecithin, sunflower lecithin, rapeseed lecithin, corn starch, wheat gluten starches, wheat gluten, corn gluten, rice flour, soy flour and soy textures, pea flours, pea textures, soy, pork, and beef proteins, aromas, dyes, and exotic fruit pulp. We distribute organic raw materials on the Polish market, including maltodextrin, rice syrup, glucose syrup, soy and sunflower lecithin, vegetable oils, gluten, glycerin, and gelatin. Within the pure chemicals group, we offer various chemical substances used in chemical synthesis processes, as well as additives and raw materials needed for the production of active pharmaceutical substances, polymers, cosmetics, and detergents. As a contract partner of BASF, we distribute a complete range of organic semi-finished products; about 600 substances with various applications. The product range includes such product groups as amines, diols, carboxylic acid, and various other specialty chemicals. The main areas of application of BASF semi-finished products include paints and varnishes, pharmaceuticals, epoxies, coolants and lubricants, detergents and cleaners, polyurethane, rubber, adhesives, and gas flushing. As a partner of Sasol Wax from Hamburg, we offer a full range of Vaseline and Vaseline oils, which we can provide in both technical and pharmaceutical qualities. The important applications of these substances include the production of pharmaceuticals, cosmetics, personal care products, and cables. Similarly to Vaseline and Vaseline oils, we offer a full range of Sasol Wax paraffins and emulsions, which we distribute from our numerous branches in Germany. In addition to traditional candle-making applications, these products are used for the production of adhesives, printing inks, rubber and car tires, wood coatings, anti-corrosion agents, detergents and cleaners, cosmetics, medicines, paper, and paraffin for cheese coating. Through our subsidiary OQEMA Global/Chemical, we provide our customers with various raw materials for the ceramics industry. The most important products in this segment are special plaster, porous resin, and kaolin. Our range of raw materials for the production of sanitary ceramics, tableware, and tiles includes all standard materials. The range of applications for epoxy resins and hardeners is extremely wide - from structural adhesives, coatings, and anti-corrosive agents, to concrete and printed circuit boards, to components and components used in manufacturing processes. Depending on the purpose, we choose mixtures that consist of a solid or liquid resin and a suitable hardener and accelerator. Our product range in this area is complemented by water-based resin mixtures. The characteristic properties of paints and varnishes significantly depend on the quality of the ingredients used to make them. Our company offers the highest class of fillers, pigments, and dyes for paints and varnishes that meet various gloss, weathering, opacity, and mechanical requirements. Our range of products from this group includes natural chalks, Microdol dolomites, barytes, natural and synthetic barium sulphates, and various types of talc. Such a wide range allows us to provide a significant number of products for the paint and plastics industry. Our materials give colour, form, and function to many everyday items, such as white paints, coloured varnishes, toothpastes, cosmetics, films, food products, medicines, building materials, and paper. Our main suppliers in this group are Mondo Minerals and Sachtleben. We offer a wide range of inorganic pigments from Lanxess (Bayferrox) - iron oxides and chromium oxides - standard, micronised and granulated - for applications in the paint and varnish, and construction industries, as well as in the dyeing of plastics. Our range of dyes includes organic and inorganic products as well as pigments specially designed for the food, pharmaceutical, and cosmetics industries, and for the production of hygiene and personal care products. In this assortment of products, the FDA-certified colour dyes and varnishes from our exclusive suppliers deserve special attention. We should also mention special colours produced according to the recipient's specifications and requirements. The assortment is complemented by a wide selection of technical dyes and masterbatches. We distribute Aerosil® silicas, Dynasylan® silanes, and Protectosil® mineral protection agents manufactured by Evonik. These products are used in the paint and varnish, construction, and paper industries, in metal and rubber processing, and in the production of cosmetics and pharmaceuticals. Our wide selection of ingredients for semi-finished products are made only from raw materials and materials prepared especially for us by globally recognised and certified partners in the cosmetics and pharmaceutical industries. In this area, we offer particularly durable and semi-permanent hair dyes, active substances for the pharmaceutical industry, and various peptides and reagents. Natural, renewable oleochemical raw materials form the basis for the production of many products in the chemical industry - from paints and varnishes to cosmetics and finished pharmaceuticals. They are also widely used in the food industry. Our range includes almost all vegetable oils (safflower, tung, linseed, rapeseed, castor, soybean, sunflower, etc.) - refined, polymerised, or blown according to client requirements. 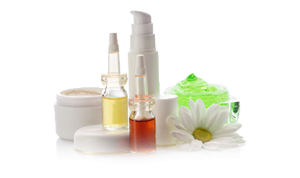 The assortment of oils is complemented by distilled, fractionated, and polyunsaturated fatty acids.